Toledo, OH, July 31, 2018 – Luber-finer®, a leading brand in heavy duty filtration since 1936, has added a new module to Luber-finer University, the filter company’s free online education program for distributors, point-of-sale associates and others who work in the heavy duty industry. 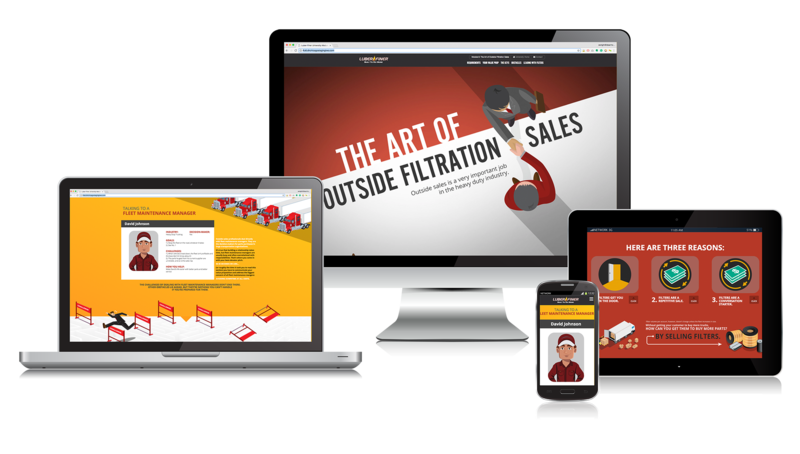 Module 6 of this comprehensive training tool, which can be accessed from any Internet-connected device, educates users about the art of outside filtration sales and the vital role these sales professionals play in helping fleet maintenance managers keep their vehicles moving. With the release of this new module, Luber-finer continues its effort to offer cutting-edge training materials engineered to grow the heavy duty community’s collective knowledge and help industry partners succeed. Registering for Luber-finer University is fast and easy; visit luberfiner.com/university to enroll by filling out a simple online form. For more information about Luber-finer heavy duty filtration products or Luber-finer University, please contact your Luber-finer sales representative, visit luberfiner.com or call (800) 851-3641. You can also follow Luber-finer on Facebook, Twitter and YouTube. For more than 80 years, Luber-finer® has been providing filtration excellence for heavy duty on-highway vehicles, vocational and off-road equipment. Recognized as a global brand leader of dependable heavy duty filter product lines, Luber-finer combines product value with a commitment to reliable customer service. For more information, visit luberfiner.com.